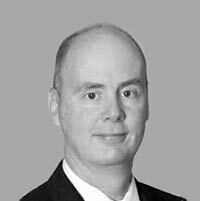 Gerry Healy is a managing director in Accenture’s Asset Management practice in Boston. Over the past 20 years, he has helped clients mitigate risk, improve quality and increase efficiency by communicating with stakeholders, creating strategic alliances and using technology effectively. His areas of expertise include operating model development and business process redesign, strategic partner selection, data management strategy, and tax and regulatory strategy. Prior to joining Accenture, Gerry was a principal at Beacon Consulting Group.